After the success of the first elooa all-girls weekend combining yoga and snowboarding last winter, we have teamed up again this year to offer three of these gems this season! Three dates in three different locations, focusing on freestyle park riding, splitboarding and backcountry freeriding invite you to treat yourself to a fabulous weekend in the mountains, combining action-packed days on snow with relaxing downtime on the yoga mat. We’ll ignite the weekend with an Arrival Flow on Friday night. Before dinner, this gentle practice will welcome you in the mountains and stretch out the kinks of your journey there, inviting you to leave behind everything the week before has had in stall for you. This creates space in your body and mind so you can enjoy your weekend to the fullest. A little Snowga session on the mountain on Saturday morning will not only warm up your muscles and joints, but also give you some ideas for a little routine you can do on your own. Taking a conscious moment to center yourself and prepare your physique will not only enhance your experience but also reduce injury risks. After riding all day under the supervision of experienced coaches and guides (that will vary according to event & topic), you get to cool down and chill out in an extensive Après-Ski Yoga Class. The poses and stretches will counterbalance all the hard work you did all day and leave you perfectly prepared for additional relaxation in the Wellness & Spa area of the accommodation. Just how much of difference a proper warm-up and chill-out can make will hopefully be something you get to experience first hand on Sunday morning, when you’re feeling a lot less sore than you normally would after a full day of riding. 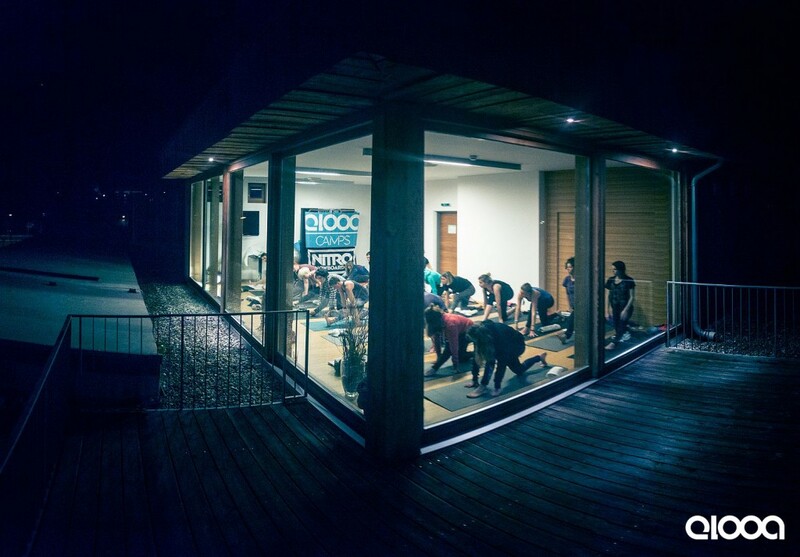 Of course we will warm-up with Snowga on the mountain again, making memories with like-minded girls in some of the most beautiful surroundings of the Alps. For all details, prices & more info click on the camps above and check out the highlights from last year in the clip below! Schlagwörter: austria, bavaria, boardsports, event, snowboarding, travel und yoga.